Your balloon mortgage loan might have seemed like a good idea when you first applied for it. Maybe it meant that your monthly mortgage payments have been lower so they fit into your budget. But now your mortgage balloon payment is due and you can’t afford to make it. Before you start panicking, it’s important to keep in mind that you do have some options. What Is a Balloon Mortgage Payment? A balloon mortgage comes with an unusual twist. You make normal monthly payments for a set period of time (usually five to seven years) and then you have to make one large payment to cover the remaining balance of the loan. That large payment is the “balloon” part of a balloon loan. And depending on the size of your mortgage, that payment can be tens of thousands of dollars. Say you took out a balloon loan of $100,000 with a term of five years and an interest rate of 5.00% amortized over 30 years. Because you are not paying off the loan for that full 30 years — indeed, you’re only making payments for five years — you’d owe $91,829 after 60 months’ worth of payments. This, unfortunately, would come in the form of a lump sum payment. To get a better sense of your payments, check out our mortgage calculator. Balloon mortgages should come with a lower interest rate than either fixed-rate or adjustable-rate mortgages, making them a cheaper loan for the right consumers. Those consumers who plan to live in a home for only a short period of time, might do well to take out a balloon mortgage. Say they plan to move in three years. They can take out a five-year balloon mortgage at a lower interest rate and then sell their home long before that massive balloon payment becomes due. This can also be an option for people who gets large bonuses but a more moderate salary. 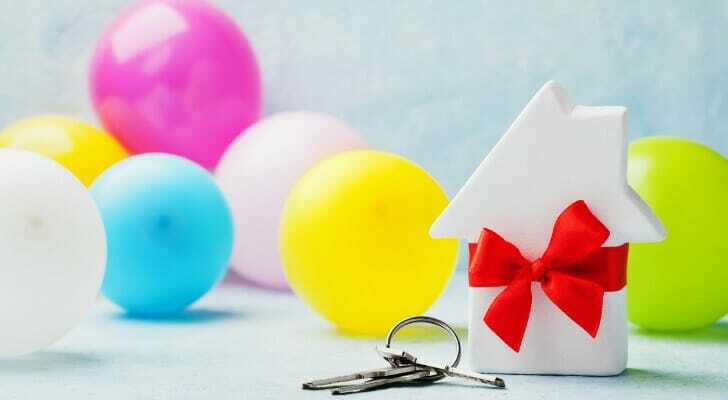 A balloon loan would allow the monthly mortgage payments to fit into their budget, and then they could use the larger yearly lump sums toward the balloon payment. There is a big risk associated with a balloon mortgage, though. Most homeowners who don’t plan to sell their homes before the balloon payment is due expect to refinance their balloon loan to a standard fixed-rate or adjustable-rate mortgage before facing that big payment. And that is often the best move if you can’t afford your balloon payment: Refinance your loan before you have to pay up. But what if your home has lost value since you bought it? What if you are underwater on your home loan, meaning that you owe more money on your mortgage than what your residence is worth? It’s not easy to refinance a mortgage loan with negative equity. Most lenders require that you have at least 20% equity in your home before they’ll approve your request for a refinance. You might be able to refinance through HARP, but you have to meet certain requirements to refinance through this program. If you can’t refinance, can’t or won’t sell your home and can’t afford your balloon payment, what are your options? Your best move is probably to call your existing lender as soon as you realize that you can’t cover your balloon payment. Your lender might offer to extend your existing loan for another few years before another balloon payment looms. That would give you more time to pay off some of what you owe and hopefully build positive equity in your home. You might then be able to refinance your loan. Your lender might also allow you to refinance your loan on its own. You lender might see this as a better option than having to take your home through the foreclosure process. But what if your lender isn’t willing to negotiate? Then you might face the unhappy prospect of losing your home to foreclosure. Before you even consider buying a home, you should know what you can afford to spend on one. SmartAsset’s home affordability calculator can help provide some insights to this elusive question. All you need to know to use it is your marital status, your household income, the size of your down payment, how much you pay per month towards debts and where you want to live. Have further financial questions? SmartAsset can help. So many people reached out to us looking for tax and long-term financial planning help, we started our own matching service to help you find a financial advisor. The SmartAdvisor matching tool can help you find a person to work with to meet your needs. First you’ll answer a series of questions about your situation and goals. Then the program will narrow down your options from thousands of advisors to up to three fiduciaries who suit your needs. You can then read their profiles to learn more about them, interview them on the phone or in person and choose who to work with in the future. This allows you to find a good fit while the program does much of the hard work for you. 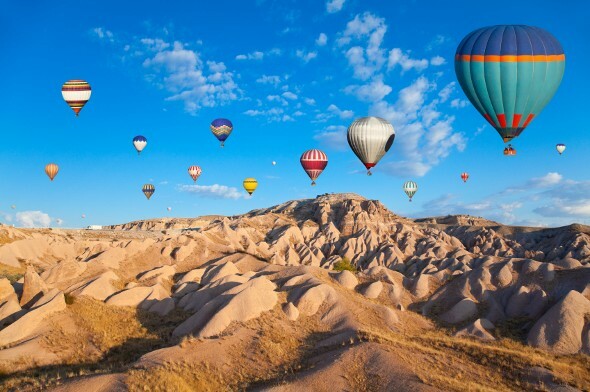 The post Pros and Cons of a Balloon Mortgage appeared first on SmartAsset Blog.